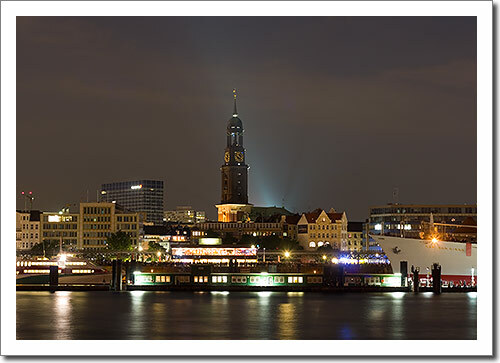 It was getting late and dark last night while I was waiting for the Queen Mary 2 to depart, and all of a sudden I discovered that Hamburg has a pretty skyline. However I did have trouble coming up with three images, at least from the position where I was standing. Maybe I’ll go back to the south side a look for a third image. 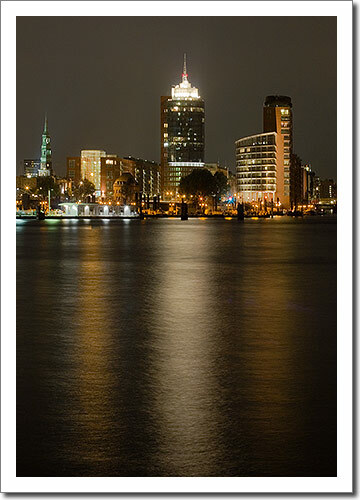 Nice pictures from Hamburg, I know these view cause I live there.